jQuery’s new event handler live() is a much faster alternative to click(). It comes with an additional benefit that I am extremely excited about: the selector works even with dynamic content, meaning no more reattaching click events every time you change a piece of content. Live is faster and better for all click events and most other jQuery event handling, however stay away from it for tracking onmouseover or onsubmit. HTML 5 means more tags: <section>, <header>, <footer>, etc. More tags mean that there are less items that share a given tag name, which translates into better selector performance. The CSS selector optimization rules used by FireBug's Page Speed addon also apply to jQuery. If you want to test how well your selector is optimized, apply it with CSS and see if any selectors are flagged by Page Speed. It's great that jQuery methods don't throw a ton of errors at your users, but that doesn't mean that as a developer you should just rely on that. Even though it won't throw an error, jQuery will have to execute a number of useless functions before determining that an object doesn't exist. So use a quick object detection before calling any methods on a jQuery object that may or may not exist. If you look at the jQuery core you'll notice a variety of functions are just convenience methods for calling other functions, for instance if you call getJSON() it calls get() which calls ajax(). You can cut this extra work out of the loop by referencing the direct function ajax(). With a vast and evolving library like jQuery it can be hard to keep on top of all the methods but it is still very important. Some methods Paul pointed out specifically are map(), slice(), stop(), queue(), dequeue(), prevAll(), pushStack() and inArray(). For more info about Paul Irish, check out his blog, YayQuery podcasts or follow him on Twitter. This entry was posted on Thursday, November 19th, 2009 at 6:55 pm	in the category webdev. Awesome write-up Jon! I love Paul’s performance talk. Other than that, great summary! When jQuery encounters another selector for the context it actually converts it to say the following instead. Nice catch Joseph – I had meant that to use a jQuery selector for that ID. (And yes I know how stupid it would be to use a selector for the context, I just want a selector here to make the example clearer). But that’s news to me on being able to pass document.getElementById(‘blah’) to the jQuery context, seems like that could be useful. Do you have any idea whether it is better performance-wise to do that rather than $('blah').find('blah')? I remember in the dark recesses of my mind that document.getElementById(‘myId’) is meant to be slightly faster than $(‘#myId’), I haven’t got metrics, (but assuming native js is always faster has stood me in good stead ;)), I think even in this very simple case jQuery isn’t purely just a wrapper on document.getElementById. 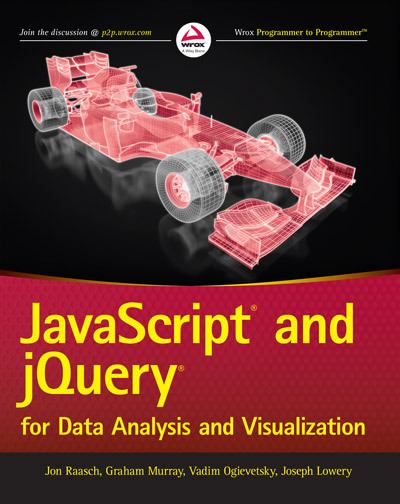 * now if you pass in a jQuery object it can seem faster, but that is because you are doing a more specific selector on the sizzle engine rather than using a context. Yeah it makes sense that the native JS method would be faster, thanks for taking time out from being swamped to discuss this one with me 🙂 If I see anything on metrics regarding this, I’ll be sure to post it here. Great tips. Will start digging more into html 5. Thank you for sharing. Very useful tips. I realize that this post is a little old, but stuff lives forever on the web (until it’s deleted). The advice to use “.live()” instead of direct handlers on elements is good, but now in 2011 I think it’s even better to encourage the use of “.delegate()” over the use of “.live()”. That’s nuts! We’re talking about take 3 or 4 function calls out of the call stack, that won’t even give you enough performance worth mentioning. Calling getJSON() makes code easier to read and follow. I’m willing to trade of nanoseconds for that. That seems great but for points 2, 3 and 4, do you have performance test ? I don’t mean that you are wrong, but i’d like to decide if it’s worth to rewrite my code and get one and only method. Best regards from Paris, France. For the point 3, can I make a copy of DOM element using clone()? Will it produce a copy seperate from DOM? It’s 2012 now and time has come to drop the use of “.delegate()” in favour of “.on()”. I just want to understand. Let’s say I’m using a site-wide script file where I do jQuery using selectors that target content on virtually page on my site. Now let’s say, I have a simplified page that doesn’t have all the the same target conent items. If I’m reading you correctly, I should test first to see if something exists before performing actions on that code? For example: I have a div that I use AJAX to fill with data from a blog’s RSS feed. On one page, I need the room for a larger table of other data, so I drop the box showing the RSS feed. Now the code to fill that div is in my site-wide included script file. I should probably test to see if the div is present before calling the AJAX code, right? Chaining methods is not supported. For example, $( “a” ).find( “.offsite, .external” ).live( … ); is not valid and does not work as expected. Use natively clickable elements such as a or button, as both of these do bubble to document. Use .on() or .delegate() attached to an element below the level of document.body, since mobile iOS does bubble within the body. Apply the CSS style cursor:pointer to the element that needs to bubble clicks (or a parent including document.documentElement). Note however, this will disable copy\paste on the element and cause it to be highlighted when touched. The .live() method interacts with other event methods in ways that can be surprising, e.g., $( document ).off( “click” ) removes all click handlers attached by any call to .live()!